Greenpeace has thrown down the gauntlet. In November, the environmental nonprofit presented 15 Italian and French fashion houses, including Chanel, Dolce & Gabbana, Gucci, and Prada, with 25 “uncomfortable” questions about their supply chains. Its goal? To determine where the luxury sector stands in terms of toxic water pollution and deforestation. The results, released on Thursday on a new “Fashion Duel” website, was a mixed bag. Valentino topped the ranking for its “ambitious and binding commitment” to eliminate all hazardous chemicals from its supply chain and products, while brands like Salvatore Ferragamo and Louis Vuitton received a poor to unsatisfactory grade for their “partial commitments” and “real lack of ambition,” says Greenpeace. At the bottom of the list were Alberta Ferretti, Chanel, Dolce & Gabbana, Hermès, Prada, and Trussardi ranked at the bottom of the list for refusing to disclose information for the survey, which examined the differing policies of high-end fashion brands on environmental issues. A piece of the Amazon rainforest is destroyed every day to clear the way for cattle ranching and leather production. A piece of the Amazon rainforest is destroyed every day to clear the way for cattle ranching and leather production for shoes, bags, and belts, she adds. A similar chain of events occurs in Indonesia, where the habitat of the last Sumatran tigers is being threatened to make low-cost paper packaging. In China, Mexico, and other places, hazardous chemicals used by the textile industry are polluting waterways. Campione praises Valentino for pledging not only to phase out all hazardous chemicals from the entire life cycle of its products by 2020 but also for outlining a new zero-deforestation policy on leather and packaging procurement. 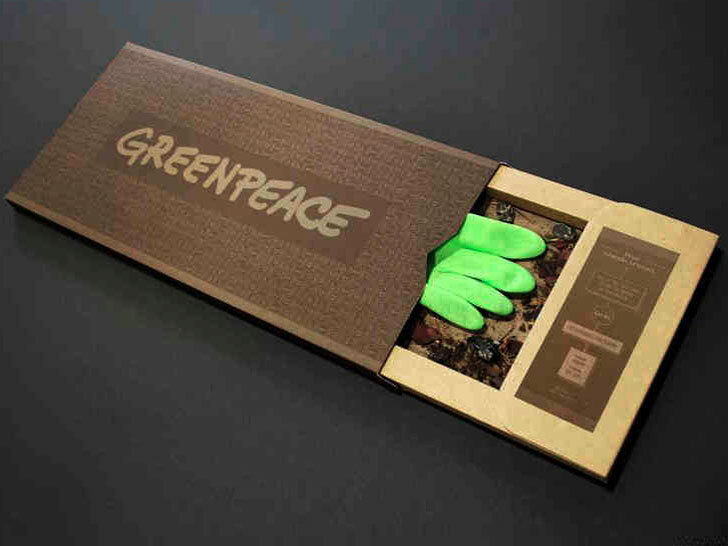 Greenpeace has thrown down the gauntlet. In November, the environmental nonprofit presented 15 Italian and French fashion houses, including Chanel, Dolce & Gabbana, Gucci, and Prada, with 25 "uncomfortable" questions about their supply chains. Its goal? To determine where the luxury sector stands in terms of toxic water pollution and deforestation. The results, released on Thursday on a new "Fashion Duel" website, was a mixed bag. Valentino topped the ranking for its "ambitious and binding commitment" to eliminate all hazardous chemicals from its supply chain and products, while brands like Salvatore Ferragamo and Louis Vuitton received a poor to unsatisfactory grade for their "partial commitments" and "real lack of ambition," says Greenpeace.